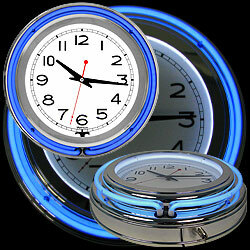 You and your friends can kick it old school with the stylish Retro Neon Wall Clock by Lavish Home! 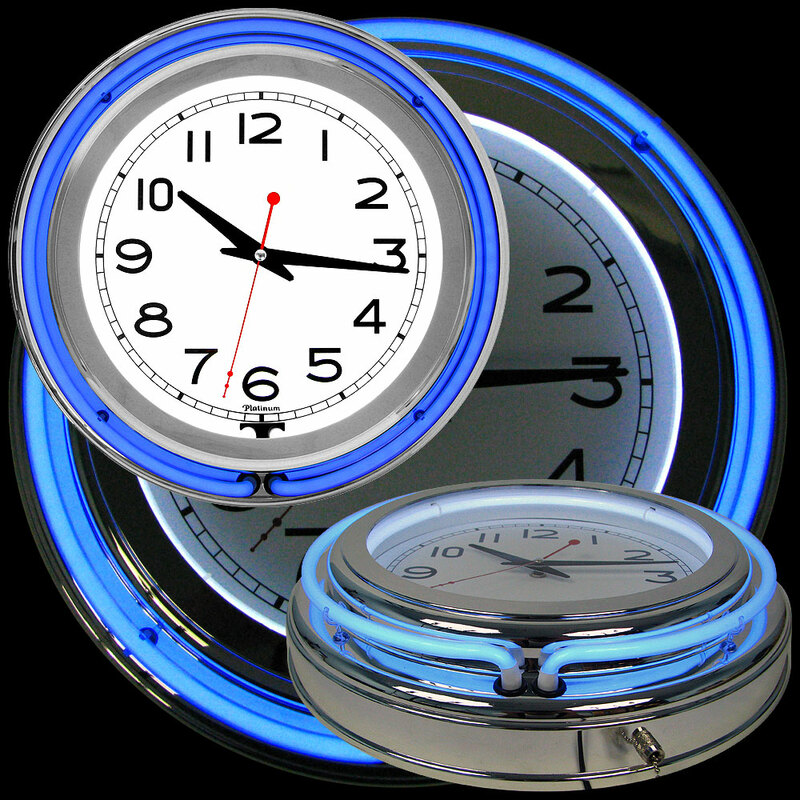 The light up clock runs on 2 AA batteries for timekeeping and a 110V AC adapter for the double neon rings. The round analog face is 14 inches in diameter. The sleek chrome-and-glass look makes it an excellent addition to any classic car garage, workshop or mancave. It would also look great in game rooms, bars or kitchens with vintage décor. 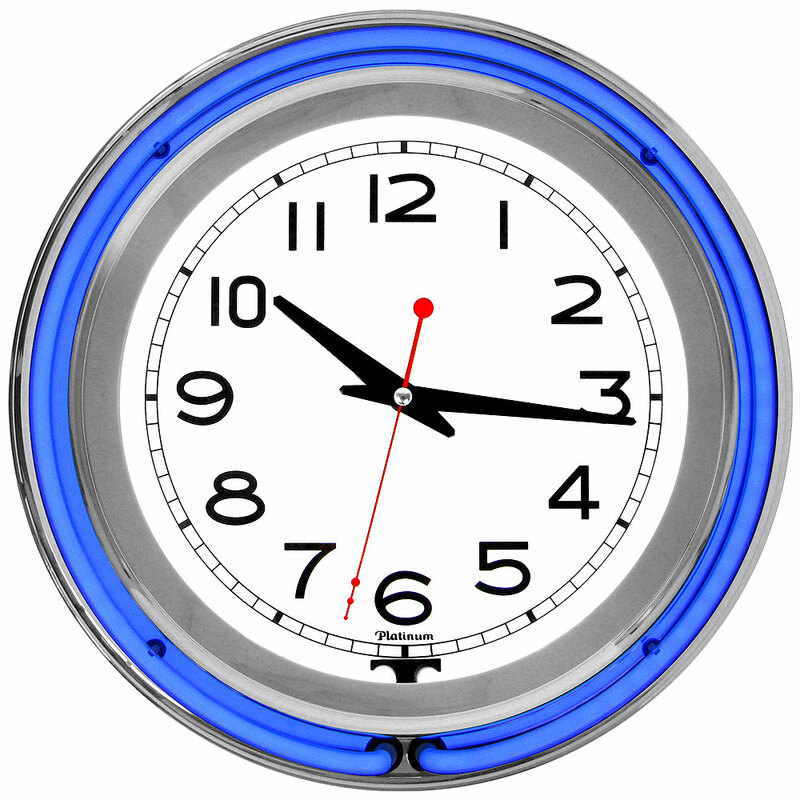 Take this chic clock outdoors to jazz up your patio or deck space as well. IMPORTANT: Avoid buying counterfeit products and transacting with unauthorized sellers. Look for our logo on the packaging for every one of our products. Lavish Home is a registered trademark protected by U.S. Trademark law and will be vigorously defended. CLASSIC DESIGN- This lighted wall clock features retro neon and chrome accents that conjures images of 50s classic cars, leather jackets, cherry sodas at the diner and cruising the strip on a Friday night. DUAL POWER- The quartz, analog timepiece runs on 2 AA batteries, while the dual neon rings are powered by a 110V AC adapter. This allows you to choose when you want to show off the brilliantly colored lights. 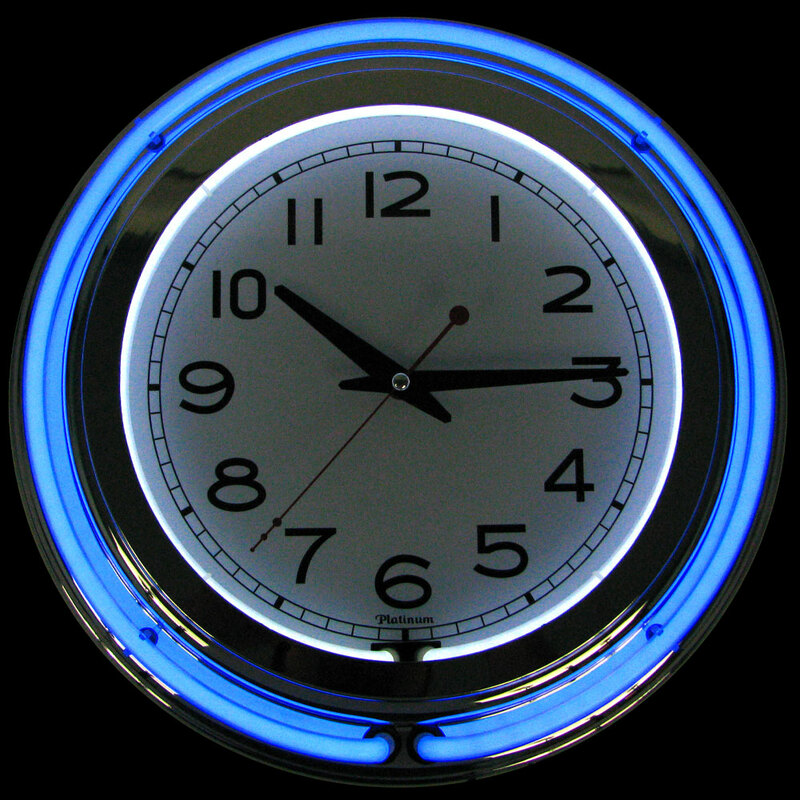 RETRO COLOR- This stylish vintage clock comes in classic retro colors, so it’s sure to match most décor in any mancave, garage, kitchen, game room or bar. 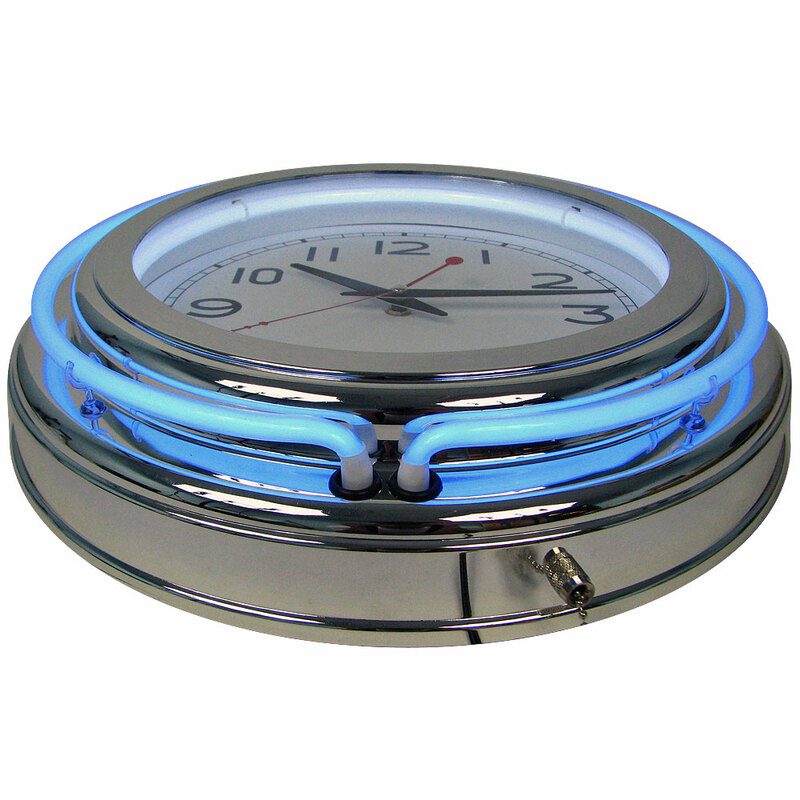 USE INDOORS OR OUTDOORS- Not only will it look great inside your home, but this metal-look wall clock also makes an attractive addition to outdoor spaces like covered patios and decks. PRODUCT DETAILS- Mechanism: Quartz Diameter: 14 Inches. AC Power Supply: 110 Volts. Battery Operation: 2-AA cells.